Google’s October 4 ‘Pixel Event’ has been building hype for the past few months. Now that it’s happening, Google’s has announced its next in line flagship Pixel smartphones along with a bunch of other gadgets. The company has just announced its new media streaming stick dubbed as the Chromecast Ultra. It has been a year since it received a major design overhaul and the changes implemented this year are pretty big. Let’s see what does Chromecast Ultra has to offer and how does it differ from the previous version. As can be seen, Chromecast Ultra has gone through minor design tweaks. Google seems to be moving away from the Chrome aspect of the device other than the name. It is now plain with no etched Chrome logo. The front of the device is now way simpler than last year’s iteration and boasts a single ‘G’ at the bottom. It is wired with an HDMI to connect to your television. Other than these hardware changes, there are a couple of colors available which we will talk about later on. Apart from a slight addition to the name, Chromecast Ultra brings a lot to the table. The device supports 4K video streaming with Google Play Movies, which is great for all of those media consumption junkies as the bumped up resolution will provide a greater viewing experience. Other than this, Google also noted that the device is capable of streaming HDR content that adds an extra layer of crispness to the media. The Chromecast Ultra is also now 1.8 times faster than last year’s version of Chromecast. Additionally, it boats Dolby Vision for a better audio experience. Chromecast Ultra has also been a subject to raised prices. While last year’s iteration of the device costs $35, Chromecast Ultra will cost you $69. So if the features mentioned are convincing enough for you to upgrade, then there’s no stopping you. Nonetheless, last year’s Chromecast is still a very capable device for an average user. 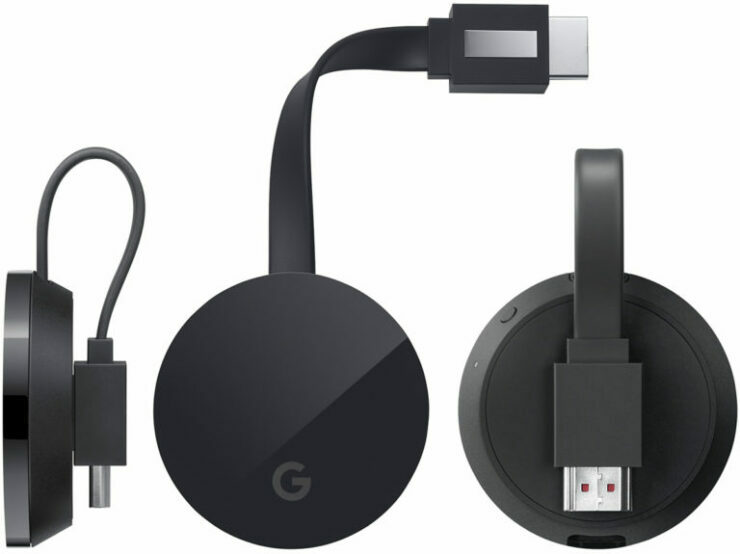 So Google will sell the Chromecast Ultra alongside last year’s version. The company is including an Ethernet port on the Power adapter for users whose Wi-Fi connections are not able to handle 4K streams. Chromecast Ultra is coming out in November in the US and will be available in 16 countries around the world. The Pixel Event has announced a lot of new new stuff. For more details on it, be sure to visit us for extensive coverage of the event. This is it for now, folks. What are your thoughts on Chromecast Ultra? Are you guys looking forward to an upgrade? Share your thoughts with us in the comments.